Despite overwhelming bipartisan legislative support, California Gov. Arnold Schwarzenegger has vetoed legislation aimed at ensuring affordable access to stem cell therapies as the result of taxpayer-funded research. "This bill (SB1565)undermines the express intent of Proposition 71 in two ways: it eliminates the priority for funding human embryonic stem cell research and it places an unnecessary restriction on the Independent Citizens’ Oversight Committee authority to adopt intellectual property regulations that balance patient need and essential medical research. "More than seven million voters were very clear when they passed Proposition 71 in 2004. They wanted to fund embryonic stem cell research that the federal government wouldn’t. They also wanted to make sure that California receives a return for its historic investment in medical research. Both of those important goals are already being accomplished. "This bill does nothing to advance the will of over seven million voters. For this reason, I am unable to sign this bill." The California Stem Cell Report will go dark for the next couple of weeks while we do a little island-hopping in the Sea of Cortez. More exciting stem cell tales are expected to be forthcoming then, although there is a saying among cruising sailors – "We have no plans, and we are sticking to them." Meantime, watch for items from John M. Simpson on the Consumer Watchdog site. Prop. 71 created the California stem cell agency nearly four years ago, but the ballot measure also plays hob with CIRM from time to time. One of those occasions came last week at its directors meeting in San Diego, which barely mustered the 65 percent quorum necessary to conduct its business legally. It was not the first time. Maintaining a quorum is a regular problem at meetings of directors and their subcommittees. Thursday's meeting also set a record for the largest percentage of alternates filling in for directors. Five alternates were there, 28 percent of the 18 directors in attendance. John M. Simpson, stem cell project director for Consumer Watchdog of Santa Monica, Ca., was there and wrote about the events on his organization's blog. "Chairman Bob Klein is so worried about the possibility of no quorum at the December meeting when the board is slated to award a substantial number of grants, that he announced he will schedule a special ICOC(directors) meeting in about 30 days to adopt the procedures to allow telephone participation in December. "All of this trouble comes from what I believe is a paranoid fear that stem cell research opponents could somehow gain control of the board and wreak havoc with a mere simple majority quorum requirement. "And so Proposition 71 passed with a super-majority rule that Bob Klein wrote into it. And now he is often hoisted by his own petard." The super-majority quorum also does something else. It gives a minority on the board tremendous power. All a handful of persons – maybe even one -- have to do is walk out of the room, and CIRM directors are legally paralyzed. There is definitely an attendance problem at CIRM meetings, which stems in part from the membership of the board of directors. Prop. 71 stipulates that 29 persons serve on the board, which makes it difficult to schedule meetings at mutually convenient times. It also stipulates that the most of the directors come from top executive positions at other enterprises. These are folks who are more than busy. They already have important responsibilities at their own organizations, and naturally those come first. The use of alternates to fill in for the directors additionally nullifies some of the justification for the selection of the directors. That argument contends that deans of medical schools and the chancellor of UC Berkeley, among others, should serve on the board because they bring skills and knowledge from their own positions to make good decisions on stem cell matters. So the fact that their organizations also stand to benefit to tune of hundreds of millions of dollars should be put aside. But if they are sending alternates, the state does not receive the benefit of their expertise. That said, at least some of the alternates more than hold their own and make significant contributions at the meetings. Looking for a key to the CIRM cash drawer? There may be several in a document recently posted on the agency's website. The 35-page piece is called "Stem Cells in Predictive Toxicology." It grew out of a CIRM workshop back in July. allow for the development of comprehensive, customizable approaches for correlating toxicity mechanisms with variable individual response." "These 'clinical trials in a dish' could help inform and optimize further trials in humans. Workshop participants agreed that the use of stem cell-based assays in the process of drug discovery has the potential to reduce late-stage attrition, to lower the cost of drug discovery, and to help understand the genetic contribution to drug susceptibility." "Workshop participants were extremely enthusiastic about the potential for stem cells to provide superior model systems for predicting toxicity in drugs and environmental pollutants. While technological and cultural hurdles exist, experts were optimistic that these could be overcome. Even in a limited capacity, incorporation of human cell based assays into drug discovery efforts and environmental toxicity screens offers the potential for safer, more customized medicines, reduced costs of drug discovery, reduced or refined use of animal models, and more accurate risk assessment for environmental pollutants." Earlier this month, CIRM grantees assembled for a two-day session to talk about their work and hear some of the leading folks in the field air their own views about stem cell research. Those of you who did not get to attend can share a bit of the experience via a 146-page report coming out of the conference. Of particular interest are one page summaries of 129 research projects involving CIRM grantees. "Investment in quality of life through the support of stem cells and regenerative medicine needs to be demonstrated to have been a wise choice. Our grantees are the vanguard of this investment in science, and we need to be able to clearly demonstrate the benefits this investment will make in the general community. In the end this will have to be shown as treatments in the clinic in the form of new drugs, cell therapies, gene therapies, tissue engineering etc., for some of the most debilitating diseases and injuries presently costing the society and individuals dearly." Some nostalgic folks in Sacramento were perturbed years ago when the California State Fair abandoned its location in a seedy part of the river city. Last week, however, one of those old Fair buildings officially began a transformation into a state-of-the-art stem cell research laboratory. The occasion was the groundbreaking Friday for the $62 million project, partially funded with $20 million from CIRM. It was the first-groundbreaking for a CIRM facility in Northern California. CIRM Chairman Robert Klein was on hand along with Claire Pomeroy, vice chancellor for Human Health Services and dean of the medical school at UC Davis. 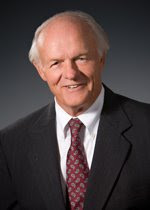 Pomeroy also is a member of the CIRM board of directors. The 92,000-square-foot lab is scheduled to be completed in late 2009. Jan Nolta, professor of hematology and oncology and a regular attendee at CIRM meetings, is director of what is officially tagged the "UC Davis Institute for Regenerative Cures, a facility supported by the California Institute for Regenerative Medicine." The first groundbreaking for a CIRM-funded facility occurred earlier this month at USC. The Trojan marching band high-stepped through those proceedings. There is no word on whether the Aggie band turned out for Pomeroy's affair. In the unlikely possibility that you missed it, the San Diego stem cell consortium announced earlier this month that it snagged $30 million from a South Dakota philanthropist, T. Denny Sanford(pictured). That will come on top of the $43 million the consortium received from CIRM to build its new lab on a bluff overlooking the Pacific Ocean. Some 245 scientists will work out of the facility. However, Heather Chambers of the San Diego Business Journal reported that the group is still $27 million shy of collecting enough cash to build and equip the $115 million, four-story facility. It is scheduled to be completed by December of 2010, or the consortium could face penalties from CIRM. Construction is scheduled to begin in January. Terri Somers of the San Diego Union-Tribune put together a piece on the donation and its impact. Buried in her story was an interesting note on the consortium's plans to seek as many as 16 grants from CIRM in its upcoming disease team grant round. CIRM appears ready, however, to limit applications to four from an individual institutions. 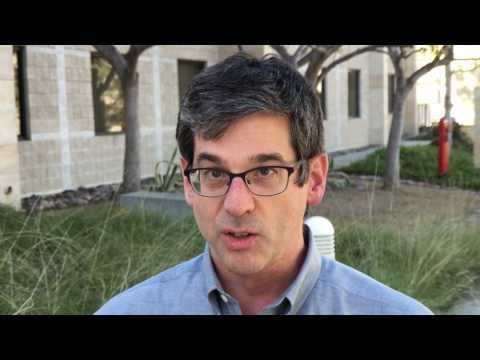 The consortium consists of four organizations, Scripps, Salk, Burnham and UC San Diego. Based on Somers' story, it appears that the consortium plans to have each organization apply for four grants, which could run to $20 million or so each. Currently CIRM is allotting about $210 million, not including loans, for its disease team grants. Obviously, there is not enough money for 16 grants at $20 million each for the San Diego quartet/consortium, not to mention other likely competitors from San Francisco to Los Angeles. But San Diego's ambitious plans provide some indication of how tough the competition is getting for California stem cell cash. California's Little Hoover Commission has decided to examine the state's $3 billion stem cell research effort. "The commission has been asked to look at governance and transparency, but may look at other issues as well, including a discussion on ways to insure the most effective use of bond money. The commission currently is involved in a study of bond oversight. In setting up the study of the state's stem cell research activities, the commission has directed staff to ensure the study adds value to the current discussion through constructive recommendations and avoids merely repeating work done by others." CIRM is funded through California state bonds at a total cost to the state of $6 billion. Funds are routed directly to CIRM, bypassing both the governor and the legislature. The impetus for the study came from legislation by Sens. Sheila Kuehl, D-Santa Monica, and George Runner, R-Antelope Valley, requesting the inquiry. The primary focus of the bill, however, is affordability of stem cell therapies funded by CIRM. The Little Hoover Commission, a bipartisan group, is charged by law with promoting "efficiency, economy and improved service" in California state government. "Some stem cell research advocates have lobbied hard against the (Kuehl) bill, partly because they objected to a Little Hoover Commission study. "I don't get it. We are talking about $6 billion in public money. What could be more important than ensuring it's spent fairly and so that all Californians benefit from the research they're paying for? "You'd think anybody who wants that would welcome an outside independent look and suggestions on how to make things work better. The good news is no matter what Gov. Schwarzenegger does with SB1565, the Little Hoover Commission has decided CIRM is worth a study." Directors of the California stem cell agency Thursday gave the go-ahead to an outline of a far-reaching, $500 million biotech loan program, but many details remain to be worked out. "Biotechnology companies are expected to rush for the funding because most are perpetually hunting for money from investors. Banks typically won't fund biotech companies because they have little to no revenue, little collateral and a high risk of failure." "Stem cell therapies are expected to come to market through companies, not research institutes. The institutes have very little capacity and experience in clinical trials or the process of turning a successful scientific experiment into a pill or injection that might eventually make it to market." Somers said that companies have become "restless and skeptical" regarding funding from CIRM. "'We've been waiting for a turning point for (the institute) to become very friendly and accessible by the corporations,' Esmaeli-Azad said. 'This may be that turning point.'" "One will require the company to pay back the money no matter what happens, including failure of the product or company. "The second does not require the company to pay the money back unless it has sufficient revenue. This type of loan would have a higher interest rate and give an equity stake to the state, which it would cash out if the product is successful." The stem cell agency also issued a press release on the biotech loan program. It said that directors had approved a "program" and a "policy" for biotech loans. The news release declared that it was "an integral part of CIRM’s effort to strengthen California’s biotechnology industry and create collateral economic benefits such as high-paying jobs and increased tax revenues." Somers reported that CIRM plans to "to add further detail to the policy as it receives comments and advice from industry executives, finance experts and the public." One of the key questions involves the use of delegated underwriting a la Fannie Mae as well as administration of the loan program, not to mention conflict of interest issues. Should a former director of the California stem cell agency be paid hundreds of thousands of dollars by the agency after he leaves the board? That was the essential question at a meeting last week of the CIRM Governance Subcommittee, which is a subset of the 29-member board of directors. John M. Simpson, stem cell project director for Consumer Watchdog of Santa Monica, Ca., wrote about the session on his organization's blog in an item headlined, "Tempers flare at stem cell subcommittee meeting." "Stem Cell Board Chairman Bob Klein and member Jeff Sheehy clashed heatedly over a former board member's highly paid consultancy to the state agency at a recent meeting of the Governance Subcommittee. "I lit the spark on Friday when I asked what Dr. Richard Murphy was doing under the description of "Strategic Consulting" for a fee $155,000 from April 15 through Dec. 31. Was he revising the California Institute for Regenerative Medicine (CIRM) strategic plan? That was a large part of it, President Alan Trounson said." "'We need a more open process,' he said." Murphy served as interim president of CIRM last year and part of this year under a $300,000, six-month contract. The consulting contract followed. The California stem cell agency has posted important details of its proposed $500 million biotech loan program, including the size of loans and information on possible interest rates. The agency is considering $200 million in loans for the disease team grants that are scheduled for 2009 with individual loans exceeding $25 million. More details are also available on the delegated-underwriting proposal that CIRM is borrowing from Fannie Mae. The "loan program overview" can be found here and loan portfolio information can be found here. Handing out hundreds of millions of dollars behind closed doors naturally leads to concerns about fairness and conflicts of interest. Especially when it becomes personal, such as when a scientist's career and the economic well-being of his family, his business or his employer may be at stake. It is even more complicated when those who make the de facto decisions (the scientific reviewers) are competitors in the field, albeit from a different state, and when their economic and professional interests are cloaked by secrecy. Then couple all that to a public agency with $3 billion to hand out for research in a controversial area of science. The agency itself has its own important needs and responsibilities. Above all, it must maintain public trust and its own integrity. It must have candor from its reviewers and protect them from unwarranted attacks and retribution from disgruntled applicants. It must somehow provide the reviewers with the incentive to come to the Golden State and work hard to hand out tons of cash that they will not have a chance to compete for. Beyond that, the agency must maintain the confidence of applicants and potential applicants. They must feel that they are being treated fairly regardless of the final outcome on their bids for the golden ring. No small challenge. But one that faces the California Institute of Regenerative Medicine. CIRM's 29 directors will wrestle with the task once again on Thursday in San Diego. They constitute the body that has the legal authority to make the grants. However, scientific reviewers, during closed door sessions, have already scored each grant and made their decisions on funding, which are presented to CIRM directors. The CIRM board almost never overturns a positive or negative decision by reviewers. But state law permits any person to appear before directors and make a pitch, including rejected grant applicants. When that first occurred last January, it made some directors more than uneasy. It happened again in June. In an effort to bring order to the process, CIRM staff has come up with a plan to deal with requests for reconsideration of negative application reviews. The proposed "policy regarding extraordinary petitions" for "special consideration" calls for them to be submitted to CIRM at least five days before the directors meeting at which the application will be considered for funding. The policy declares that the petitions should only be submitted under "extraordinary circumstances" and be limited to no more than three pages. They will be posted on the CIRM website. Material may be cut from the public versions to "protect personal, proprietary or confidential" information. The staff will evaluate the petitions and be prepared to make a recommendation to the board of directors. However, the evaluations will only be presented if requested by a director. "What we don't want to do is have a raft of complaints that might topple continuously into the press, which would be very damaging, I think, for the reviewers." "We have tried to develop a policy that strikes a balance between the right of applicants to communicate with the board and the necessity for thorough, fair, and thoughtful consideration of applications." "It is a way to bring order to the chaos of people who decide to, in fact, lobby the board, which ...people are entitled to do." CIRM Director Sherry Lansing, a former Hollywood studio executive, told Simpson his was an "incredibly clear" summary. This week's proposed policy has its flaws. It does not make clear what "extraordinary circumstances" justify an appeal, a word that CIRM does not want to use to describe the petitions. Applicants certainly will ask for a definition of "extraordinary circumstances" from CIRM before filing a petition. The proposed policy also appears to allow considerable fiddling with the public version of the petition, permitting material to be censored on the basis of overly broad, undefined terms such as "personal" and "confidential." The proposed policy additionally does not specify that the petitions must be posted publicly before the CIRM directors meeting. Directors of California's $3 billion stem cell research agency meet this Thursday to finish up work on its faculty grant program, deal with a proposed $500 million biotech loan program and act on a new plan to handle requests for reconsideration from rejected applicants. The board will also discuss just how much cash is currently available for grants. A CIRM document shows that currently the agency has committed $1 billion through June 2009 and only has $1.9 billion left to give away. Its plan now calls for the research funding effort to continue through the first half of 2017. The CIRM document also appears to project a $510 million "profit" from its biotech loan plan. CIRM plans to plow back the "profit" into more grants or loans. The agency has said defaults could be as high as 50 percent in the loan program. It has yet to lay out in a straightforward manner how it can generate "profits" of $510 million with default rates of that magnitude. The CIRM board will also discuss the "business review" plan for the biotech loan program. It proposes contracting with delegated underwriters, mentioning their use by Fannie Mae. The business review plan cites the Fannie Mae delegated underwriting system for multi-family housing as a success as compared to "recent problems" with the single-family program. Not provided in the business review plan are details about how the underwriters would be selected(other than issuing an RFP), how they would be paid and what provisions would be in place to avoid conflicts-of-interest in what is a tiny financial world. The compensation plan is important because if it gives an underwriter major incentives for qualifying businesses for loans, it could also be encouraging lax financial standards. The biotech loan policy can be found here. Missing is background material on "loan portfolio policies." Also on the agenda for San Diego are names for CIRM funded labs, a petition to designate a "covered stem cell line" as acceptably derived and a project to consolidate nonprofit and for-profit IP regulations. Discussion of the $210 million disease team RFA is also scheduled, a session not to be missed by those who plan to vie for the cash. As of this writing, three days prior to the directors meeting, background material is available on their agenda on five of the 13 substantive, public items to be discussed. The day will include a Webcast from the CIRM meeting location in San Diego involving juvenile diabetes presentation but not of the directors meeting itself. A live, interactive online Q&A is scheduled for the afternoon with California research scientists taking questions. CIRM will preview its new Web site offline at the directors meeting. The new site is expected to be available to the public in October. Other events are scheduled in California, including ground-breaking at UC Davis on its new stem cell lab, which is partially funded by CIRM, and the launch of a new, stem cell Web site at Stanford. Here is the text of article by yours truly concerning questions about fairness in the CIRM grant review process that ran Sept. 18, 2008, in BioWorld Perspectives. Following this item, you can find related posts, including the text of responses we received from businesses that we queried and links to related CIRM and other documents. Editor's note: David Jensen publishes the California Stem Cell Report and has written nearly 2,000 items on the California stem cell agency since 2005. Jensen's Perspective last month, "Red Flags Remain in Plan to Help Biotechs," dealt with the controversy surrounding CIRM. Questions are being raised about the fairness, conflicts of interest and even the accuracy involved in the grant review process of California's $3 billion state stem cell research program, the San Francisco-based California Institute for Regenerative Medicine (CIRM). While nearly all of the rejected applicants remain silent, a handful of stem cell companies have publicly discussed their concerns. One California stem cell company, Advanced Cell Technology Inc., of Los Angeles, has complained about a financial conflict of interest on the part of one unnamed reviewer. Others have complained about inaccuracies in reviews, the failure to provide an opportunity to rebut reviewers and the lack of a grant resubmission process like the National Institutes of Health. Privately, more complaints are aired about reviewer conflicts and a tilt at CIRM toward funding "big guns," well-established senior scientists. Last month, Alan Trounson, president of CIRM, told the agency's directors that "large numbers" of rejected applicants have contacted the agency concerning reconsideration of their rejected applications or related issues. But when asked more recently for specifics, a spokesman for the agency minimized the number, saying it amounts to no more than 10 on any round of grants. CIRM acknowledges its review process is not perfect. It is working on a formal procedure for requests for reconsideration, which will come before directors on Sept. 24 or 25. But basically, CIRM sees no fatal flaws in the making of its grants, which now total $614 million over three years. When CIRM's review process came under fire last month, Trounson told directors, "Scientists, like other people, kind of believe [if] they live in California [they] should get a grant, [that] CIRM was set up to give them grants." The agency first had to deal with public complaints from a rejected applicant last January. Questions of fairness surfaced more visibly later in the year, the first time that businesses have been permitted to apply for CIRM cash. Out of the 18 applications from the private sector only one business, Novocell Inc., of San Diego, has received a grant. In the case of Novocell, it amounted to $50,000 to help plan for a much larger disease team grant. Until recently, the names of the rejected business applicants were unknown. CIRM's policy is to withhold the identities of all rejected applicants. But last month, Consumer Watchdog, of Santa Monica, Calif., a nonprofit group that has followed CIRM for nearly three years, disclosed on its website the names of the 18 businesses that filed letters of intent (LOI) to apply for grants. The list reads like a Who's Who of California biotech companies. According to John M. Simpson, Consumer Watchdog's stem cell project director, firms that filed an LOI to apply for the Disease Team Planning Grant were: Advanced Cell Technology; BioCardia Inc., of South San Francisco; DNAmicroarray Inc., of San Diego; Genomics Institute of the Novartis Research Foundation, of San Diego; International Stem Cell Corp., of Oceanside; Novocell; Panorama Research Inc., of Mountain View; RegeneMed Inc., of San Diego; StemCyte Inc., of Covina; and Stemedica Cell Technologies Inc., of San Diego. The companies that filed an LOI to apply for New Cell Lines Grant were: Advanced Cell Technology; BioTime Inc., of Alameda; California Institute of Molecular Medicine, of Ventura; Cascade Life Sciences Inc., of San Diego; DNAmicroarray; Gene Security Network Inc., of Redwood City; International Stem Cell. ; Raven Biotechnologies Inc., of South San Francisco; RegeneMed; the Supercentenarian Research Foundation, of Inglewood; VistaGen Therapeutics Inc., of South San Francisco; and WaferGen Biosystems Inc., of Fremont. Simpson noted that some companies earlier had "groused" about their treatment. And he asked, "Did the companies get a fair shake or not?" We queried all 18 concerning the grant reviews. Fifteen did not respond to the questions. One said it was satisfied, one said anonymously it was quite dissatisfied, and one was withholding judgment until the next round of grants. At least three additional companies, however, have publicly told CIRM directors that they have issues with the agency's review process. Alan Lewis, CEO of Novocell, responded to our query, saying he was pleased with the process. Lewis said his company has "developed a relationship with CIRM" and tried to help it in formulating the grant process. He noted that "very few" industry representatives often attend CIRM meetings. At the August meeting of CIRM directors, Steven Kessler, a scientific director at Advanced Cell Technology, said that his company had filed information that one of the reviewers had a financial conflict of interest as the result of ties to another company. Kessler did not identify the individual or spell out the exact nature of the conflict. He told directors that he was told by the agency "the way CIRM interprets its own conflict of interest policy, the example I gave you was not a conflict of interest." Kessler also cited the low success rate of business applications as "clear evidence of bias." At the same meeting, William Adams, chief financial officer of International Stem Cell, indicated that CIRM directors were excessively worried about "ticking off" scientific grant reviewers with public criticism of the quality of their reviews. At the June directors meeting, Kenneth J. Woolcott, chief business officer of Cascade LifeSciences, commented on the process but did not seek an appeal, having been told none was available. Shortly after Woolcott left the meeting, a reconsideration letter from an applicant from a nonprofit was read by a director, resulting in the approval of that grant. In response to our query, another California company researcher, who asked for anonymity, said reviewers' comments on his application were "ridiculously incomplete" and "misinformed." "You can tell when people really didn't read it," this scientist said. Leading to Positives for Future Stem Cell Grants? "I'm not advocating that anybody be required to divulge proprietary information, but the application process needs to be more transparent," he said. "My publishing the names of the applicants has enabled them to communicate with one another, compare notes and figure out how to voice what appear to be very legitimate concerns about the grant-making process. "I'm by no means a big fan of the biotech industry, but I think this is a case where awards have been tilted toward academia. There ought to be a level playing field." For the piece in BioWorld Perspective on the CIRM grant process, we queried 18 companies identified by Consumer Watchdog as filing letters of intent to apply for grants. Three responded directly to the questions, one off the record. A fourth also responded but said it was wrapped up in other business and could not answer the questions at this time. Here are the questions we asked and the responses from the two companies that responded on the record. 1. Was your company satisfied with the fairness of the CIRM grant review process and the accuracy of reviewer comments? If not, why not? 2. Do you have suggestions for improving the process and improving CIRM's engagement with industry? 3. Does your firm have plans to apply for a CIRM grant in the foreseeable future? 4. Are there any other comments you would like to make on this subject? "Yes we were and have developed a relationship with CIRM whereby we participate in their meetings and have tried to help them during the formulation of the grant process." "I believe it is up to the industry to participate actively in meetings to share their issues and concerns. there are often very few industry representatives at such meetings." "Yes---we will submit a disease-focused grant(diabetes) and we have also submitted 2 tool grants. We intend to collaborate with academic scientists to take advantage of the skills and experience of stem cell scientists in California. The disease grant will allow all grant participants to help create a cell therapy for insulin requiring diabetics using human embryonic stem cells as the source. This program will benefit greatly by academics who are leaders in diabetes research translation synergizing with the Novocell development effort to create this first-in-class product." "Since funding of stem cell research is very difficult---both government and venture capitalists have avoided this space--the CIRM funding is incredibly important to ensure this important research is both funded and encouraged to develop innovative products not being pursued elsewhere. Patients around the world will be the beneficiaries of these transforming products." "CIRM seems to be responding to the issue (meetings of Sept 12). We will hold our evaluation until the next round of funding results. The numbers speak for the last round: 50 and 59 applicants, 13 and 10 from industry, 16 and 22 awards, on a percentage basis with academics and industry being treated equally, industry should have received 7-8 of the total 38 awards; the question is were the applications equally competitive." Steven Kessler, a research director with Advanced Cell Technology Inc., of Los Angeles, last month raised a question about a conflict of interest on the part of one unnamed CIRM scientific grant reviewer. Kessler also addressed the issue of reviewer bias and proposed restrictions on the length of an appeal letter. Here is the text of his remarks at the August CIRM directors meeting, including comments from CIRM Chairman Robert Klein. "It's my understanding that for the new cell lines awards, that there were 58 proposals overall, that 12 came from for-profit organizations, none of those were recommended for funding, compared to presumably 18 of 38 from not-for-profit organizations. To me, that's clear evidence of bias. "I've had – we formally appealed this on June 26th. The appeal -- I was the PI on one of them -- was two and a half pages describing for CIRM what a conflict of interest is from a business perspective, and another seven and a half pages specifically rebutting point by point all the reviewers' criticisms. I don't see how we can do this (in less length). We can certainly condense the letter, but what we did was cite the reviewers' comments and what our proposal actually stated that factually contradicted that. It would be more difficult, I think, for the board to understand what actually took place if we didn't do it in that type of a sequence. "But just to come back to the conflict of interest issues, I've had discussions with CIRM staff just this week following up, citing CIRM's own conflict of interest policy to them on specific issues. One issue was:...If a grant reviewer has a financial relationship with company 'X,'...that is, he's receiving funding from that organization or he's expecting royalty income from some company by virtue of having licensed technology to that company. And that reviewer is sitting in on reviews from other for-profit organizations, companies 'A,' 'B' or 'C' and doesn't recommend those for funding. To us, from a business perspective, that's a conflict of interest. "This is a bit different from the situation in academia where people quibble about technicalities on papers.... For-profit organizations...invest millions of dollars building up their patent estate because they won't proceed down the development path, which incurs...tens of millions of dollars in expenses, unless they have a clear patent path. So it is really a serious issue if...somebody, some reviewer with conflicts -- and we cited numerous instances (and) in our view there's no reason to recite those right now – where...a reviewer would have every incentive to help impede the competition for the company that he has a relationship with." "Well, I very much appreciate those comments. We do have an existing separate policy for conflicts. We treat them very seriously. We have a separate policy in place for re-review in the event of conflicts. And the staff does a thoughtful analysis. They have gone through and found a conflict in a particular -- potential -- even if they find a potential for a conflict, they look at potentially re-reviewing it. They're trying to err on the side of equity and justice here." "I realize that. And I was told that the way CIRM interprets its own conflict of interest policy, the example I gave you was not a conflict of interest. So -- "
"Okay. So we'll have the opportunity between now and the next session to look at that as well, but we appreciate your comments. Thank you very much." Jeff Sheehy is a patient advocate member of the CIRM board of directors and a communications director at UC San Francisco. He has served as a CIRM director since its inception and has taken part in the closed-door review of hundreds of grant applications as a member of the CIRM grant review group. When a public appeal was made to directors last January by one applicant who received a negative review, Sheehy made an interesting comment on the review process. "It's been my observation within the context of the working group that clinical work is not reviewed (in) the same way as basic science, that we have a certain skew towards basic science in our review process. I talked to one of the reviewers. He says it's almost the nature of the beast....One of the comments that was made is that...that they're on something, but they're not doing anything particularly innovative. But these incremental states are what happens, according to the reviewer I was talking to, who was the expert on translational research, (and that) is what typically find in a clinical program. "If we look at the new faculty awards and if were to actually have separated out the basic scientists and the clinical scientists, there's a vast gap in the scores except for one exception. And this is because clinical science is not reviewed as highly within the context of how we do our work as basic science. Basic science is new science by definition. Clinical science is incremental steps. I think it's interesting that everyone seems to kind of just gloss over this novel blood collection technique for umbilical cord. This is the kind of things that are important for moving the science forward. This a little thing, but it actually is a very big thing." Here are some links to documents relating to the California stem cell agency and complaints about fairness in its grant review process. Transcript of the January CIRM directors meeting, which heard the first public appeal of a scientific review. Search on the term "luben," which is the misspelling of the name of Bertram Lubin, president of Childrens Hospital Oakland Research Institute, who appeared before the directors seeking reconsideration. On Sept. 5, 2008, we carried an item dealing with a proposal for an examination of the California Institute for Regenerative Medicine by a bipartisan state department charged with improving government operations. We said that corporations pay hundreds of thousands of dollars or more for independent assessments of their operations and that CIRM should welcome the opportunity to have a similar study performed for free. The springboard for our comments was an item written by patient advocate Don Reed on his blog, stemcellbattles.com. Reed has responded to our item. Here is what he sent us. "Several days ago David Jensen printed a thoughtful article inquiring why I was encouraging people to write to Governor Arnold Schwarzenegger ( State Capitol Building, Sacramento, CA 95814), urging him to veto Senate Bill 1565. "The reason is simple. If people like our stem cell program as it is (I do), they should defend it. The Governor will be deciding in the next few days whether to accept SB 1565, or veto it. This is the only chance we have of preventing SB 1565 from becoming law. "SB 1565 could completely restructure California’s stem cell research program, as well as removing our state’s official preference for embryonic stem cell research. "I don't see it that way. As someone who attends and participates in most of the meetings of the stem cell program, I see a constant and vigorous process of adjustment and correction. The CIRM has had (by my count) four in-depth official audits; the California Court system has examined our (California’s) structure. Evaluation and analysis is ongoing, and the public is involved in every step of the way. That’s good; it’s democratic; it’s necessary. "What I do object to is throwing out something magnificent after the decision has been made. California fought for our stem cell program, debated over it, and voted. "Why did we have to use the initiative process? "I fought for three years trying to pass the Roman Reed Spinal Cord Injury Research Act—and California ended up with only $1.5 million a year for that program. It is a good program, spending $12 million, but bringing in more than $50 million dollars in matching grants, new money for the economy—but it is so little, compared to the need. "As a grass roots organizer I helped with Senator Deborah Ortiz’s groundbreaking legislation. She did a terrific job, gaining permission for the (then) controversial new medical procedure. To me, she will always be the Mother of California stem cell research. But those bills came with no money. It took a real fight to get a lousy hundred thousand bucks to run a committee, and no research money whatsoever. "So Sacramento couldn’t raise the money to fund the research. Washington dropped the ball for political reasons. "Embryonic stem cell research offers hope for cure not only for my paralyzed son, but also for Sarah Palin’s boy who has Down’s Syndrome, and for millions more who suffer with incurable illness or injury. "SB 1565 would remove California’s official preference for embryonic stem cell research, which was the reason we passed the program in the first place. Unfortunately the new Republican platform calls a complete ban on embryonic stem cell research, both public and private, criminalizing it completely. SB 1565 is co-authored by Senator George Runner, a long-time opponent of embryonic stem cell research, and if that bill passes, it could provide ammunition to the opponents of the research. "And the program itself? The California structure--with decisions made by patient advocates and experts-- was designed specifically to keep the focus on the quest for cure. No one wanted it to become a self-serving bureaucracy, rambling around in search of reasons to justify its existence, making endless speeches and not actually doing a lot. "We wanted intelligent action, and we got it. "So of course we are going to defend it. Can someone point me to a better program, anywhere in the world? "If so, let me know. In the meantime, I think we should protect what we won. "Anybody that cares about stem cell research should write Governor Schwarzenegger today. (tip: on the outside of the envelope, put VETO S.B. 1565, that helps them." The proposal to create a massive biotech lending program – funded by the state of California – came under additional scrutiny at last month's meeting of the board of directors of the state's stem cell agency. One director and an outside observer raised questions about the strength of the commitment to provide affordable access to any therapies resulting from the program, which could run $500 million or so. That figure and larger ones have been voiced by CIRM Chairman Robert Klein, who originated the loan plan concept. However, directors have yet to determine actual size of the program.. Klein also in August mentioned loans as large as $30 million but again directors have not yet set loan size ranges. Those issues could likely come up at Saturday's meeting of the CIRM Finance Subcommittee. In August, CIRM Director Duane Roth, chairman of the Biotech Loan Task Force, reviewed the program for his fellow directors, According to the transcript, he said the loans will target "funding gaps " where "there's virtually no alternative capital available to invest." "These are very, very open terms that no bank or no venture capitalist would offer....But that's part of fulfilling our mission, to fund those things that are very difficult and make it easy." CIRM Director Jeff Sheehy, a communications director at UC San Francisco, raised questions about the strength of the "covenants" in the biotech proposal to provide affordable access to therapies. "These are reasonable things to ask from industry if they're going to get our money." Other directors, including Vice Chairman Ed Penhoet, assured Sheehy the commitment is genuine. "I certainly don't take what's in front of us here in the loan policy as (something) we're soft on." John M. Simpson, stem cell project director of Consumer Watchdog of Santa Monica, Ca., also raised a cautionary note, based on CIRM letters to the Legislature concerning a measure (SB1565) aimed at ensuring affordable access. He noted that CIRM has repeatedly referred to the need for "flexibility" in requiring affordable access. "The plea for flexibility comes across to me as, well, when push comes to shove, we're going to cave and give in to biotech." Here are some links to information related to the CIRM biotech loan proposal. Transcript of the Aug. 13, 2008, meeting of the CIRM board of directors. Biotech loan policy document for Aug. 13, 2008, directors meeting. "A sharp and generous comedy, for our times, on roller skates," it's been called. So what does it have to do with the $3 billion California stem cell agency. The answer: The author of the play is Kylie Trounson(see photo), daughter of Alan Trounson, who presides over the Golden State's research effort. The play, "The Man with the September Face," will premiere in the United States at the Boxcar Playhouse in San Francisco for one night Friday at 7 p.m. A reception will follow the staged reading. "The decadent but vacuous nature of the Eighties aesthetic is a rich platform for investigating our existential artist, Jesse, languishing in a suburban intellectual and political wasteland. In synch with the Berlin Wall, he finally crumbles. " 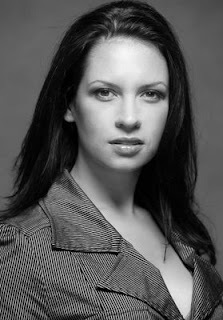 Kylie Trounson is a playwright, actor and teaches drama and acting. Followers of the biotech loan proposal from the California stem cell agency will have a another chance later this week to make suggestions and hear the latest permutations in the $500 million or so effort. The CIRM directors' Finance Subcommittee canceled last week's hearing and rescheduled it for this Saturday. The agenda remains the same as we discussed earlier. And there is still no further explanation of the cryptic topics on the agenda. The California Stem Cell Report is now being produced from Bahia de Los Angeles, a lovely, large bay in Baja California on the Sea of Cortez. The area is remote. It only gained regular electricity last year. Previously the village of perhaps 800 persons received electrical power from a huge, throbbing diesel generator that was shut off every night at 10. The town then went completely dark. Satellite phone and Internet service came in several years ago as a result of a special Mexican government program to help isolated communities. Cellular service does not exist. Currently the only Internet link – a rather slow one -- is via an Internet cafe, which requires a dinghy ride to shore and a one-mile walk in 100 degree heat. Consumer Watchdog's John Simpson usually spends his days tracking events at the California stem cell agency, but recently he attended a meeting of the Interstate Alliance on Stem Cell Research. The IASCR, as the alliance is known, indirectly grew out of Prop. 71, the ballot measure that created CIRM in 2004. The research effort in California spawned similar ones by other states, raising concerns about scientific and bureaucratic chaos in research standards. Thinkers at the National Academy of Sciences and elsewhere decided that something must be done to keep everybody on sort of the same track. Otherwise research would be impaired. Thus the IASCR came about. Earlier this week, Simpson participated in two days of meetings by the IASCR in Baltimore and reports that the meeting seemed to be a success. The group decided to develop a model form for states to use in helping to certify that stem cells have been ethically derived. Simpson writes on his organization's blog that it was a good decision, one that was debated and decided in public. That is significant since Simpson a couple of years ago was kicked out of a meeting of the group in Irvine, Ca., despite an earlier invitation to attend. The University of Southern California has become the first California institution to break ground on a stem cell research facility that is partially financed with some of the state's $3 billion in stem cell research funds. Rattling around in the background is an extremely low profile discussion of naming protocols for structures financed by CIRM, including a comment from one CIRM director that she hates the term CIRM. In case you missed the USC event, it occurred Sept. 4 with considerable institutional ballyhoo, but also some media coverage. The Los Angeles Times, which rarely writes about CIRM affairs despite being the largest newspaper in the state, recorded the ceremonies along with some television coverage, based on what can be found at the USC web site. 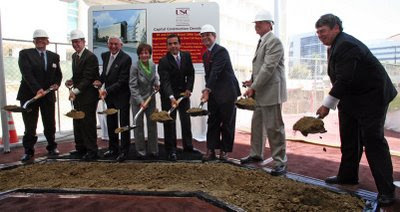 CIRM Chairman Robert Klein and CIRM President Alan Trounson were on hand (see USC photo above with Klein in tan suit and Trounson on far right) to heft two finely polished shovels. But the man of the hour was Eli Broad (the white-haired man next to the woman), whose foundation popped for $30 million for the facility, which will cost a total of $80 million. California taxpayers, via CIRM, added $27 million. USC said the remainder will come from other individuals and foundations. The 80,000-square-foot structure will be formally called the Eli and Edythe Broad CIRM Center for Regenerative Medicine and Stem Cell Research, but it is impossible to tell right now how it will be referred to on a regular basis by its users. CIRM has more than a casual interest in the naming of buildings it helps to finance. The stem cell agency requires that institutions secure the agency's approval. Don Gibbons, chief communications officer, told CIRM directors that the USC name will not be official until the directors approve it at their meeting later this month. The naming protocol is also of substantial interest to the institutions that want to recognize individuals or foundations that make hefty contributions, including ones that exceed CIRM funding. Last month, Gibbons discussed the phrasing used by USC and also language proposed by UC Davis. UCD plans to use "California Institute for Regenerative Medicine" as a subscript on the name of its stem cell research lab. On a straw vote last month, directors indicated that they favored both methods, but not before a brief discussion of whether CIRM is a "very good brand" or whether the "California Institute for Regenerative Medicine" is better. The question seemed to revolve around whether the public would understand that both names indicated that cash came from the California stem cell agency. "I hate the brand CIRM...It sounds like sperm." She said CIRM "means absolutely nothing to the public," which is financing the stem cell effort. "CIRM just doesn't mean anything," Samuelson said, suggesting it would be "lovely" to name buildings after people who are suffering. The California stem cell agency this week posted its request for applications for a $60 million grant round dubbed the Early Translational Research Awards. CIRM is proposing to split $60 million among 10 recipients, who are required to make a three-year effort. CIRM said the awards, which are open to both business and nonprofits, "are designed to move promising basic research in stem cell science toward the clinic." "These awards will support two categories of projects including research that: 1) results in a development candidate that meets an unmet medical need; or 2) addresses a significant bottleneck in the translation of stem cell biology that hinders advancement of effective, novel cell therapies to the clinic." California patient advocate Don Reed has embarked on a letter-writing campaign to have the governor of the state veto legislation aimed at ensuring affordable access to taxpayer-financed stem cell therapies. Of course, Reed, a longtime and effective advocate for stem cell research, does not see the legislation that way. In an appeal on his blog to the patient advocate community, he warns that SB1565 "intends to restructure" the board of directors of the $3 billion California stem cell research effort. With all due respect to Reed, he has overstated the case in a way that does not necessarily well-serve the best interests of the California Institute for Regenerative Medicine. His assertion is based on the measure's request for a study of CIRM by the state's bipartisan Little Hoover Commission. Even if the commission performs the study and recommends structural changes, their enactment is remote. They would have surmount a huge barrier, including possible alterations in the state Constitution. That would require a two-thirds vote in both house of the legislature and a vote of the people. Reed's latest outpouring against the legislation embodies in some ways the deep-seated concerns among some stem cell advocates that somehow CIRM could be thwarted. Many supporters of the state research effort are wary of any public scrutiny of the agency. They are blind to blemishes. They regard any evaluation or analysis of the effort as destructive. The true believers also sometimes seem to be bent on funding hESC research regardless of whether the state of California benefits significantly from the expenditure of $6 billion in public funds, including interest. Prop. 71 created the California Institute for Regenerative Medicine. The ballot measure was not hammered out in a public process. It was written behind closed doors with no public input. It was put before the people because someone ponied up $1 million-plus to gather the necessary signatures to place it on the ballot. The initiative placed representatives of the beneficiaries of the $3 billion in grants in control of the rules for giving away the money, a built-in conflict-of-interest that naturally raises concerns. Prop. 71 also created difficulties that have repeatedly hampered CIRM's operations, including an unusual quorum arrangement that forced directors last month to fill out their panel by picking a member from the audience. All of which is legal under Prop. 71. And then there is the dual executive arrangement that helped to create unhealthy management tension early on. All public agencies need and deserve outside scrutiny. It is one of the basic principles of American government and is embodied in the concept of checks and balances amid the three branches of government. CIRM operates largely without those checks. For all practical purposes, it is free from fiddling by the executive or legislative branches of California government. CIRM is an extraordinary experiment, unprecedented in California history. Some believe it could serve as a model for successfully tackling other difficult social problems. It is important that it be successful, fulfilling its mission efficiently and in a manner that recognizes its first responsibility is to the public – not the scientific community, not patient advocates and not industry. They are all exceedingly important constituencies, but CIRM is first a public endeavor. If CIRM is perceived to be under the control of those groups, its credibility will be damaged. Public trust can be mercurial. It can easily vanish overnight, and the whole field of hESC research can become besmirched. A key panel of directors of the California stem cell agency next week will tackle three hefty financial topics, ranging from its proposed $500 million biotech loan program to the amount of money available for grants and loans. No details of what is to be considered are yet available on the CIRM website for the Sept. 12 meeting of the Finance Subcommittee. But here is the text of the three items to be considered: "Consideration of portfolio policies for CIRM Loan Program," "Consideration of business review processes for CIRM Loan Program" and "Informational presentation on CIRM program budget and funds available for research grants and loans." The meeting will take place at CIRM headquarters in San Francisco with teleconference locations in Menlo Park, La Jolla, Irvine and Berkeley. If you have any interest in the biotech loan program, this is a meeting that you should attend at any of the locations(addresses on the agenda). Comments and suggestions can be made at the teleconference locations. If you have specific recommendations, send a letter as soon as possible to CIRM, explaining them and their rationale in detail. Another first has been scored in the brief history of California's unique and unprecedented, $3 billion stem cell research effort. For the first time, California lawmakers have passed legislation that would affect the California Institute of Regenerative Medicine, a tiny state agency that functions largely outside of the control of both the governor and the state Legislature. CIRM was deliberately created that way through an initiative measure passed by voters in 2004. No lawmakers or other elected officials had a say in its contents. The complex proposal, Prop. 71, set an extremely high bar against tinkering in its operations by the legislature. The ballot measure required a 70 percent vote of both houses to pass legislation that would affect CIRM – a super, supermajority vote that does not exist for any other bill. Even the state budget requires only a two-thirds vote. That hurdle has been so difficult to clear that California is now deadlocked in a record-setting, two-month long budget crisis. Nonetheless, lawmakers last week sent to Gov. Arnold Schwarzenegger a bill – SB1565 – by Sens. 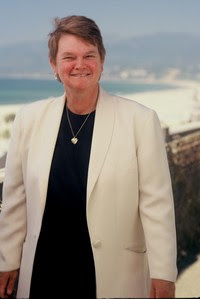 Sheila Kuehl(see photo), D-Santa Monica, and George Runner, R-Antelope Valley, designed to ensure affordable access to stem cell therapies developed as a result of state funding. The bill was opposed by CIRM, industry and some patient advocates. They complained about its lack of flexibility, economic impediments and a change that would make it easier to fund research that was not based on human embryonic stem cells. Kuehl said the bill is needed because Prop. 71 "lacks any provisions" to ensure that poor and uninsured Californians will be able to receive state-funded therapies at "the best available prices." She is joined by a raft of supporters included health access groups, retired persons, nurses and others. The governor has until Sept. 30 to act on the bill. Otherwise it will go into effect without his signature. He could veto it. An override of the veto would seem remote even though the bill passed overwhelmingly. No negative votes were recorded until the measure hit the Assembly and then only a handful. It finally went to the governor after the Senate on Aug. 29 concurred, 37-1, in Assembly amendments. Schwarzenegger has been a good friend of the stem cell agency and has garnered considerable favorable publicity touting it as a model for a way to get things done. Our bet is that he will veto the bill, but we could be wrong. The California stem cell agency next week will provide tips to scientists and others prospecting for some of the $3 billion in research funding that the state is handing out. Two days of briefings are planned – one in San Francisco on Sept. 11 and the other in San Diego on Sept. 12. The sessions are targeted at private businesses but are likely to be useful for academicians as well. CIRM says it will "discuss ways to increase chances of successfully submitting a grant to CIRM." It will also discuss the agency's intellectual property regulations and explain them for private sector attorneys, executives and scientists. Well not exactly. 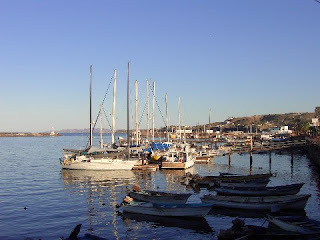 The anchor is still in its roller, but we have come to rest in a rickety marina about midway up the Sea of Cortez in a community called Santa Rosalia. The town has some fame as the site of an iron church reportedly designed by Gustave Eiffel of Eiffel Tower fame. It was constructed for an exposition in France in the 1880s and then dismantled and ultimately shipped to Baja California, where a French company was conducting copper mining operations. Some skeptics contend that the church may not have been designed by Eiffel, but those folks dare not show their face here.